‘Tis the season for holiday shopping, and for retailers, it’s looking especially merry and bright. According to analytics firm comScore, mobile and desktop spending is predicted to hit $61 billion between November and December – an increase of 16% since this same sales period last year. More than that, a significant portion of this activity will take place on social channels. 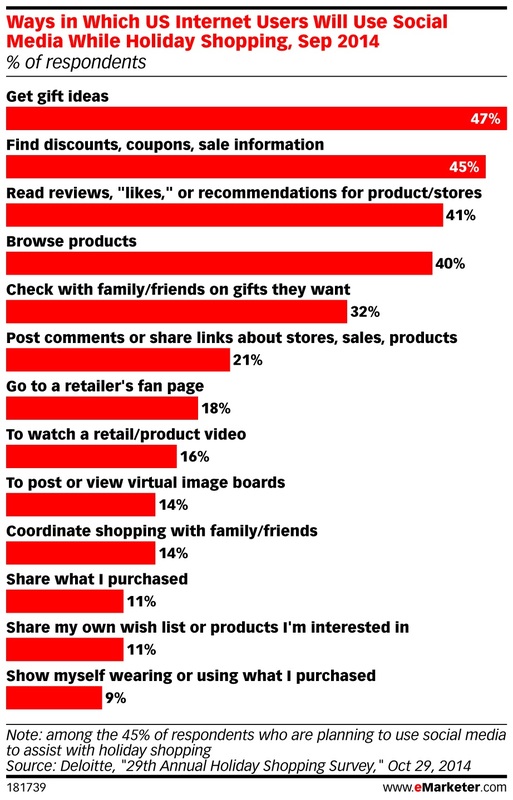 A recent survey published by eMarketer (based on Deloitte’s 29th Annual Holiday Shopping Survey) reported that 47% of respondents plan to use social media to find products, presents and other inspirational gift ideas. By making it easier than ever for consumers to share stories, photos, links, GIFS and other pieces of visual content, Tumblr is positioned to play an important role for brands looking to connect with shoppers during the holidays. If you’re a marketer, the potential is worth noting. According to a Content Engagement Study conducted by Tumblr, one in three users would rather spend time on the platform than eat or sleep. With the holiday shopping season well underway, we take a look at which online retail brands and products are driving the most organic engagement on Tumblr – and what it means for you. All data is based on organic media resulting from the surveyed brands. This does not include any engagements on posts published by the brands’ Tumblr blogs. In the following infographic, we provide an in-depth look at which retail brands and products are driving the most organic engagement on Tumblr this holiday season. 1. Consumers are organically engaging with your products on Tumblr. In fact, the Top 100 brands in the IR500 generated more than two million organic Tumblr engagements (i.e. blogs, reblogs and likes) between Black Friday and December 15th, 2014. 2. Variety is the spice of life. And Tumblr. We found that Tumblr attracts consumers with a variety of interests, as proven by the top three most engaged brands: Urban Outfitters, Victoria’s Secret and Disney. Together, these brands generated more than 860k organic engagements. The top products were as diverse as the brands themselves too. In our survey, we found children’s books and toys mixed among fashion items, camping tents and sportswear. 3. The most popular products on Tumblr aren’t just what people want; they’re what people buy. Three out of the top 10 products that generated the most organic engagement are either no longer available for purchase or are no longer available on the online retailer’s website. This is a missed opportunity for brands, as these are the products that consumers aspire to own, and yet they will be difficult to buy them this holiday season. Tumblr is quickly emerging as a major social player, especially during that time of year when consumers need a little burst of inspiration that makes their lives easier. Speaking of convenience, we want to make your lives easier with this free guide. In it, you’ll find more than 20 suggestions on how to leverage visual platforms like Tumblr to drive engagement, advocacy and revenue – before, during and long after the holidays come to an end. Enjoy, and happy shopping!